Each year, Paragon recognizes one Program Director who goes above and beyond for our patients, families, and customers. This individual is committed to providing excellent service, and uses the team approach whenever they’re given a task – all while demonstrating outstanding leadership. Ask anyone at Greenleaf Health Campus who this sounds like, and they’ll point to the same person – Natalie Phillips, our 2018 Program Director of the Year! When each campus program was reviewed and tallied based on performance and leadership areas, Natalie’s campus stood tall with a high score of 109. Starting with Paragon in 2010 as a Speech-Language pathologist, her primary goal has always been to help people communicate. Since then, she’s made the transition to Program Director, where her servant’s heart has only continued to grow. Here’s what she had to say about her job, the memories she’s made, and the best advice she’s ever received from a resident. 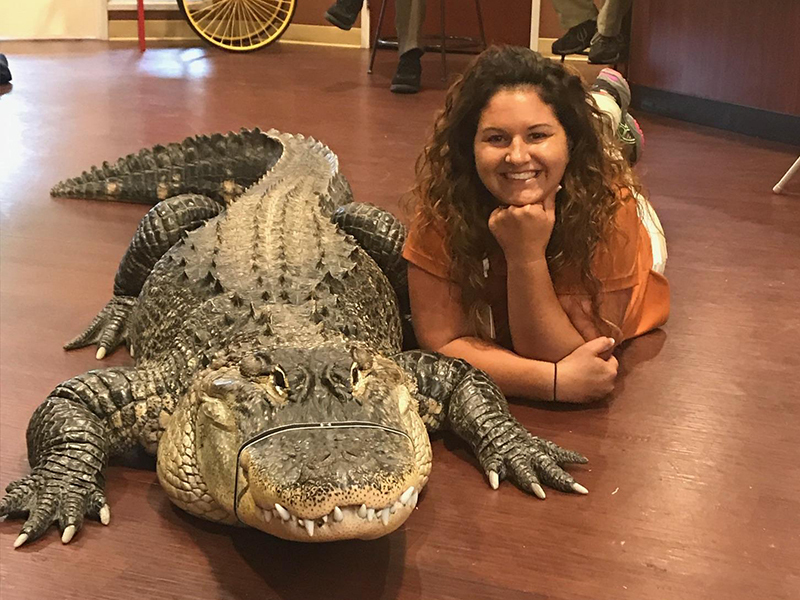 We can’t change the past, but based on this photo we have of Natalie gleefully sitting next to a gigantic alligator, she clearly makes the most out of every moment she spends with her therapy family. Thank you Natalie for all that you do; your selfless leadership is an inspiration to Program Directors everywhere!